Scheduled maintenance is ongoing today for the release of a new mini DLC from Bungie. 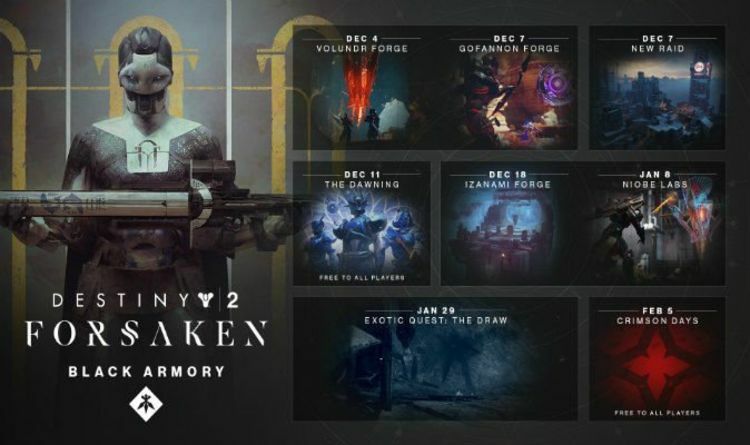 The Black Armory is going live and will be accessible following today’s Destiny 2 server downtime. It appears that issues with servers are currently ongoing, although this could be down to the surge of players trying to download the new content. According to Bungie’s official schedule, maintenance is supposed to have finished now and will be followed by the new update going live. Destiny 2 maintenance is expected to conclude at 5pm, GMT.